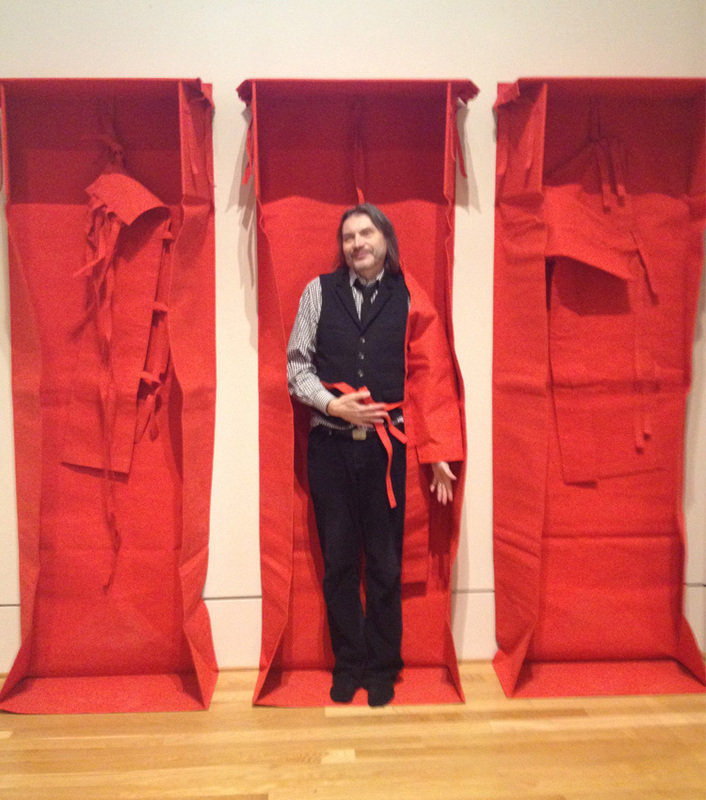 Curator at Large Klaus Ottmann demonstrates the participatory qualities of a Franz Erhard Walther sculpture, Roter Gesang (Red Song), at an Arts Committee meeting this week. Walther (born in Fulda, Germany in 1939) produces minimalist sculptures, often in brilliant primary colors, out of ordinary heavy canvas, that seem like soft versions of minimalist compositions. This will look brilliant near our Rothko Room. It also harmonizes with another new acquisition, Wolfgang Laib’s wax room, in which the visitor enters to appreciate the beautiful aroma, the rich surface, and the embracing small space. Our acquisitions meeting was a heady affair with the approval of many new works from photographs by Eugène Atget, to a painting by Al Held, a painting by Walter Dahn, and works by Helen Torr, to mention only a few. While in Berlin to meet with an important collector, I had some time to explore in the city. 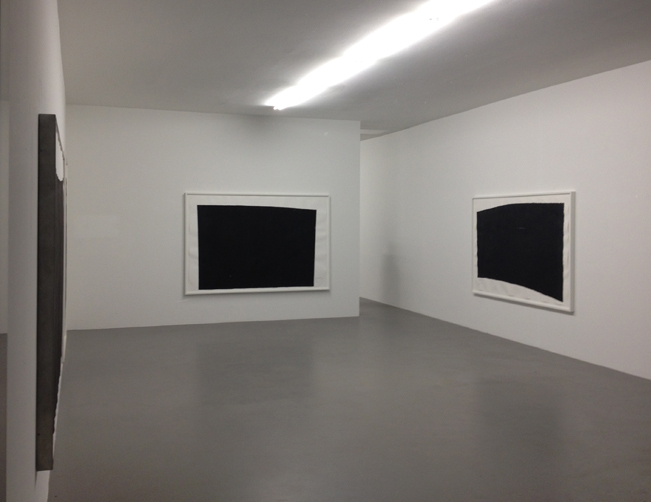 Klein aber fein is how the Germans might describe this wonderful one-room exhibition (pictured below) of five massive lithographs shown at Buchmann Galerie, all by Richard Serra and done in Paris around 1990. The prints have such incredibly rich texture. It is hard to imagine the enormous litho stones he must have used to make these prints. This exquisite one-room show makes me reflect on the power of our intimate projects at the Phillips, of course. 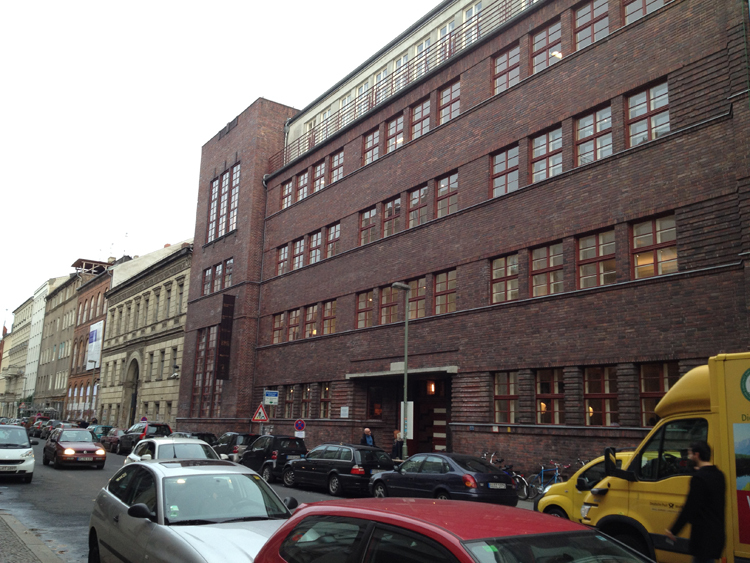 I visited galleries on Auguststrasse and discovered this elegant, sober, brick building from ca. 1930, designed by the Jewish architect Alexander Beer, an example of Neue Sachlichkeit architecture. It was built as a Jewish girls’ school. Beer died in 1944 at the Theresienstadt concentration camp in 1944. During the last several years the building was restituted to the Jewish community and is filled with art spaces and a lively cafe…like the neighboring structures in this former East Berlin area that is being totally revitalized. 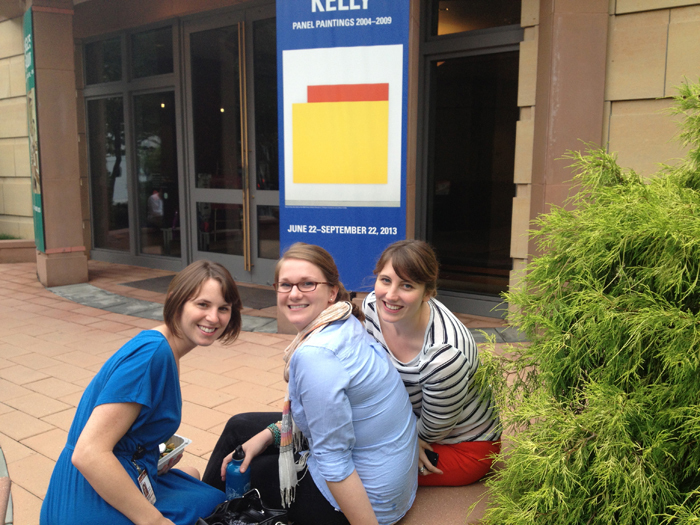 It may be summer but lots of good work is happening at the Phillips. Last week I took a break from my desk to discover colleagues from the Development and Education departments involved in major projects as well. The poster behind them is a good reminder to see our Ellsworth Kelly exhibition… not to mention Braque and Baltimore based artist Bernhard Hildebrandt!